An ultra-opulent nightclub high above Warsaw, The View is the place to see, be seen enjoying bottles and DJs, and breath in stunning views of the capital. 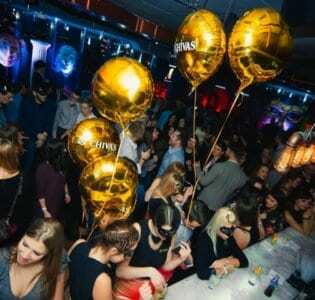 Bringing Warsaw’s nightlife to dizzying new heights since its opening, The View is a posh palace high above the Polish capital that features arguably the best combination of drinks, DJs, and views in town. Located on the 28th and 32nd floor of Warsaw’s Spectrum Tower, The View’s design is inspired by the clubs of Manhattan, with sleek fixtures and stylish lighting throughout both levels. 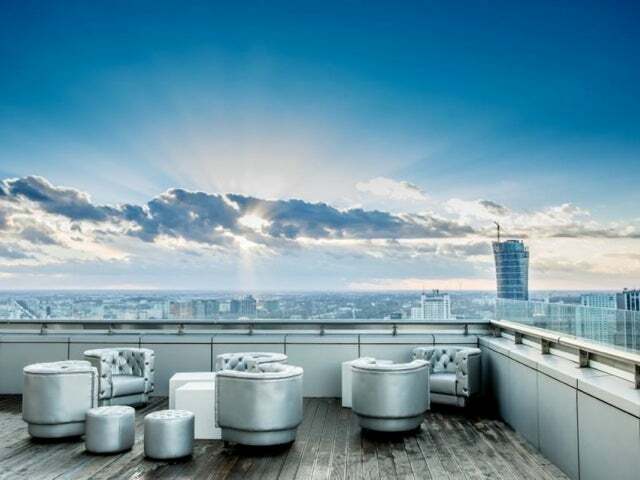 The rooftop space can accommodate up to 500 revelers, who enjoy the highest observation point in all of Warsaw, in addition to a sensational circular bar, tables, sofas, palms, and VIP area. Down below on the 28th, the views are still outstanding, and the atmosphere is anchored by an onyx bar and expansive dance floor inside, and a fireplace and a fountain on the outside. The entire venue feels glamorous, and the crowd that fills the space certainly looks the part. If you’d like to join the beautiful party people, reservations are definitely recommended at The View, for long lines have become an infamous calling card of the venue. When you do make it in, and it’s time for a drink, you will find the bottle menu full of A-Listers, heavy on world famous bubbly brands and very high end liquor labels. 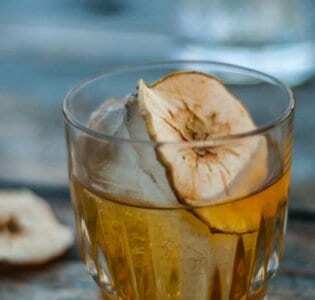 If you prefer mixed drinks, rest assured that the bar staff at The View also knows how to put together a top notch cocktail of your choice as well. 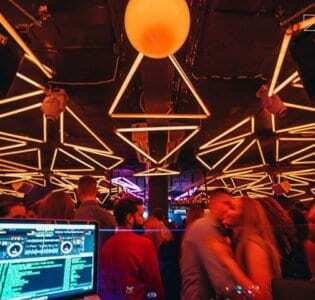 In addition to the drinks, music is one of the main draws here, as the DJs that play at the club are straight from the hottest spots in Ibiza, Paris, and New York.